The Vampire Diaries is entering its final season on The CW. The little show that could has managed to defy the odds throughout its run. Remember when you first heard of it? You probably thought it was going to be a lot like Twilight. It did sound pretty similar, but the end result was thrilling drama that kept us on the edge of our seat for a few years. The problems started when The Originals started being fazed out on The Vampire Diaries Season 4, but it meant we got another show set in The Vampire Diaries universe. It's crazy to think what The Vampire Diaries would look like today if there was no spin-off. How would the originals play into the current events? 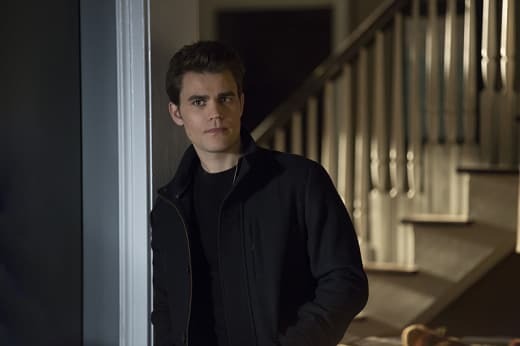 Ending a series is always a bittersweet situation, but based on the new pictures from The Vampire Diaries Season 8 Episode 1, it appears that we're going back to the beginning. For a start, "Hello Brother" is a line Damon said to Stefan way back on The Vampire Diaries Season 1 Episode 1. Damon was a killer back then, but the main difference this time round is that Stefan actually cares what happens to Damon. Say what you want about the brothers, but their relationship has grown stronger over the past 7 seasons, so don't expect that to change when the show returns on October 21. 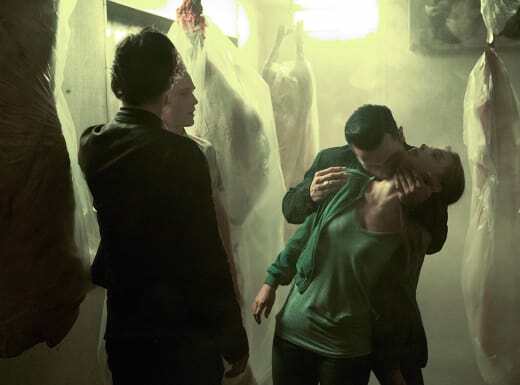 Damon and Enzo are on a killing spree after following Syblil's orders. 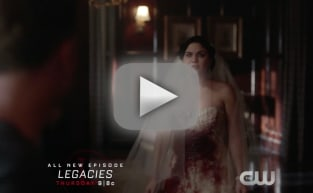 As we already reported, Sybil will be the root of all evil in Mystic Falls and her storyline will tie back centuries. She sounds pretty similar to the first evil on Buffy the Vampire Slayer. As long as Mystic Falls does not get destroyed, we're quite on board with that. A lot of details have been revealed about The Vampire Diaries Season 8. 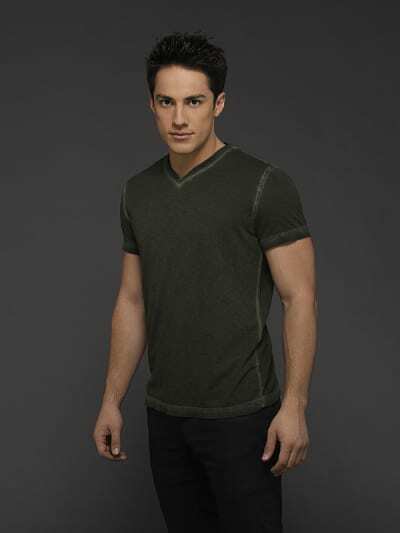 One of the more random casting announcements is that Michael Trevino will be returning as Tyler Lockwood. If you recall, Tyler was last seen getting his face smacked in off Damon. 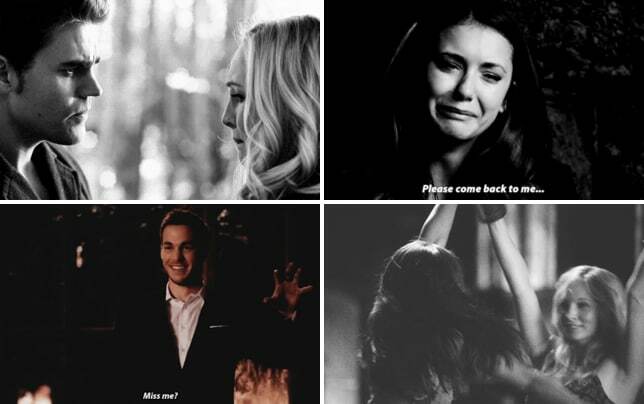 Lockwood is the keeper of Elena's body, so this might pave the way for Nina Dobrev's return to the show. Julie Plec has been very vocal about her intention for Elena Gilbert to return to the show to tie up her storyline. The show can't realistically conclude without some Delena scenes. We don't want no CGI. We deserve the real deal, so please make it happen! Also, we have got to get a few zingers from Katherine before the series signs off for good. She's one of the best characters on the show, so bringing her back would be great. Head on over to E! to get your first look at some of the other developments. There's new characters and even another throwback to the early days of the show. Might Season 8 emerge as the season of the throwbacks? If we get a coherent story that makes sense, that would be great! We've only invested eight years on the show! Hopefully the bulk of the drama does not come from driving the couples apart. That would be horrific and pretty sad.